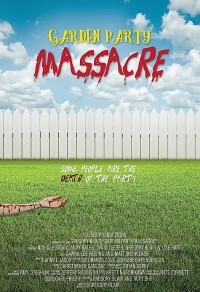 Garden Party Massacre is ... quite simply a hilarious movie! And that's first and foremost because it finds exactly the right, welcomely old school approach to comedy, putting an emphasis on snappy dialogue and the perfect delivery thereof, on the right performers in the right roles, well-executed physical humour, while avoiding to be too clever for its own good or dumbing it down for cheap laughs. Even if the film's horror topic doesn't appeal to you one bit, this is definitely worth a watch!! !